Why Treehouse Penthouse And African Safari? Forget Paris. 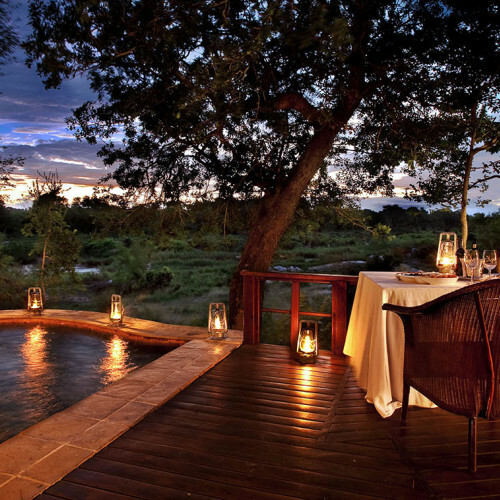 If you really want the romantic getaway to end all romantic getaways, Africa is where it’s at. This experience at the Kruger National Park lets you get up close and personal with the wildlife (though maybe don’t get too personal with the lions and rhinos - just saying) as well as enjoying the utter tranquillity of nature and spending nights out under the shining blankets of stars. What's So Special About The Treehouse Penthouse Safari Experience? You’ll stay in a secluded treehouse that’s designed to be the height of luxury in the middle of nature, as well as spending three nights at the Sabi Sands River Lodge, deemed by Condé Nast Traveller as the best in Africa.This devastatingly romantic six-night package includes all food, drinks and activities, and is so unique, you’ll be talking about it for years to come. Oh and by the way - if you’re hunting for that perfect anniversary or wedding gift, we suggest you spring this one on your partner. Talk about being in the good books. Just sit back and enjoy your candlelit dinner above the trees, watching the sunset on the African horizon, and wait for the magic to unfurl. You can thank us later.